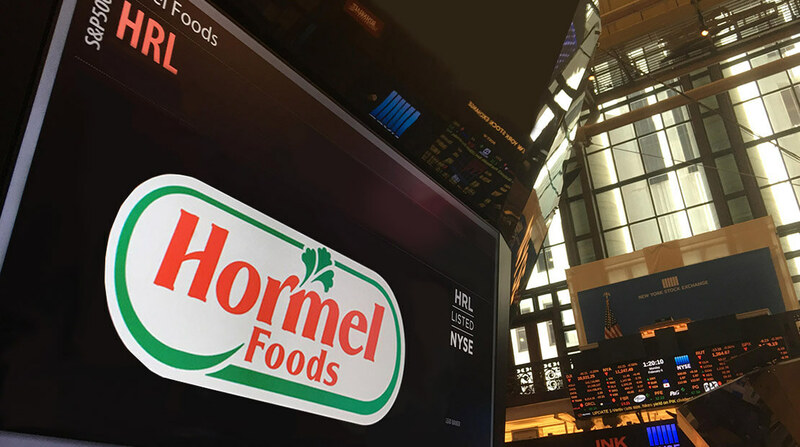 The Board of Directors of Hormel Foods Corporation (NYSE:HRL), an Austin, Minn.-based manufacturer and marketer of consumer-branded food and meat products, has declared a regular quarterly dividend of twelve and three-quarter cents (12.75¢) per share on the common capital stock of the corporation. The dividend is to be paid Nov. 15, 2011, to stockholders of record at the close of business on Oct. 22, 2011. This is the 333rd quarterly dividend. Hormel Foods Announces Increase to 46th Consecutive Annual Dividend The Hormel Foods Board of Directors announced its 46th consecutive annual dividend increase. Hormel Foods Reports Solid Third Quarter Results Hormel Foods reported its performance for the fiscal year 2011 third quarter.